There are 1 cat videos tagged with pizza. Aurora, a snow Bengal kitten, is in the mood for some pizza. 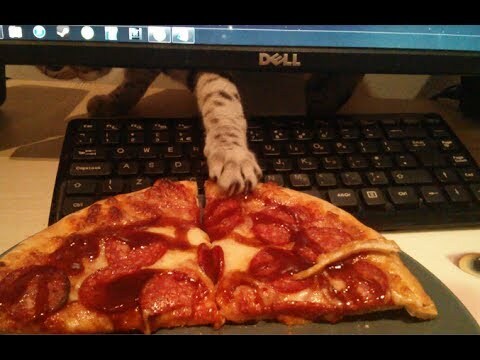 She sits behind a computer monitor pawing at the plate of pizza slices and occasionally peeks out until she manages to grab a piece.